Drill: Partner groups; 1 kick shield holder and 1 striker. Pad holder holds for 4 palm heel strikes or 2 Front Kicks to the Groin with some movement in between holds. Immediately following strikes, pad holder can mimic the takedown by holding pad in knee position and attempting to touch their shoulder to striker’s torso. Striker performs Basic Takedown Defense, gets feet in a stable position and throws 2 knees. Pad holder can also just hold for more palms or front kicks to keep timing of takedown unpredictable. Drill: Dive for the Pads. Have partners line up facing each other at the center of the mat with the curved KS between them. Partners should be equidistant from the knife, with elbows on knees. On instructor’s call of “GO!” students attempt to grab the pad. Whoever touches pad first can either hold for 10 Front Kicks to the Groin OR drop pad and apply Choke from the Front. Play with variations of distance (3 steps away, at opposite ends of the mat) and how they must get there (begin on stomach facing away from pad, bear crawl, army crawl, etc.). Rotate one line at regular intervals to allow for different match-ups. Partner drills: both partners wearing gloves and shin guards. Round 1: A throws Combo #6–with control!–at B, who is in a defensive shell, (gloves on hairline, forearms forming a narrow triangle so they can still see). B responds with Combo #6. Back and forth for combinations 6, 7, 8, 9, and 10. Once they have reached 10, go back to 6 and repeat. Light contact but high speed. 3 minute round. Round 2: A throws a combo from Round 1 at B, who is shelled up. B responds with a low round kick with their right or left leg. A defends using the absorb, and comes back with any combination 6-10. Switch roles on instructor’s call after 2 minutes. Drill: Large groups. 1 Defender, 1 Attacker with shin guards on. Everyone else with Kick Shield. Defender in middle. On “CLOSE!” Pad holders close in and jostle Defender. Attacker stalks outside. On “OPEN!” the KS holders back off, allowing the Attacker to enter. Attacker sends Low Round Kick or Front Kick to the Groin. After defense, Attacker covers and absorbs Defender’s counter burst. OR Attacker can apply Bearhug from the Front, Arms Free. Repeat “OPEN/CLOSE” for time. Groups of 3; 1 pair of focus mitts, 1 KS, 1 striker. Round 1: Free work on focus mitts. KS holder can verbal cue from the side or behind. 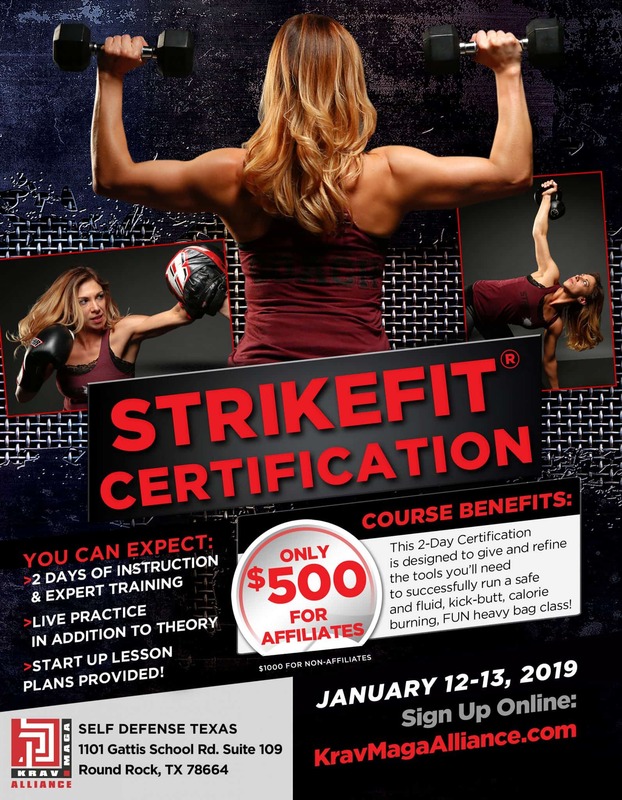 Depending on distance, Striker throws an elbow, hammerfist, side kick, advancing side kick, or back kick in the appropriate direction and follows up with 4 hand combatives to the KS. Returns to free work on mitts. Round 2: All verbal cues to the side are now Jumping Side Kick followed up by 4 hand combatives. Still a variety of distances for threats from behind. Drill: Groups of 3; 2 attackers 1 defender. Attackers can apply any attack from beginner or intermediate curriculum. Defender must make initial portion of defense but instead of follow-up combatives, attempts to use a Cavalier to neutralize the threat. Drill: A/B Drill: B’s are roaming attackers and can apply any self defense technique from Levels 1-3. A’s finish with a Cavalier. OR B’s can apply Gun from the Front, Pushing into Stomach.